Travel in the company of Professor of History Pieter Judson ’78, alumni, and friends as we journey through the heart of Central Europe—once the glorious realm of Habsburg empire. Here, in the land of exceptional natural and man-made beauty, soaring Gothic cathedrals tower above medieval cities, ornate Baroque churches look out over peaceful country towns, and the Danube River carves its way through lush hills, valleys, vineyards and forests. 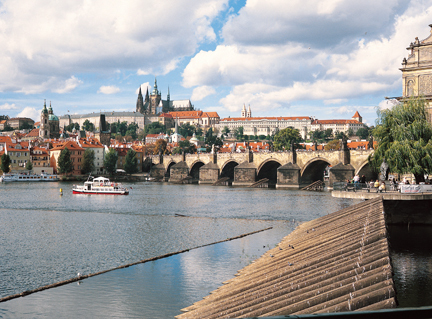 Our 2012 itinerary explores six Central European countries and includes visits to six UNESCO World Heritage sites. Enjoy accommodations aboard the M.S. Amadeus Royal and in deluxe hotels while exploring the well-preserved, historic city centers of Vienna, Budapest, Ceský Krumlov, Prague (at right), and Kraków. For both new and repeat travelers to the Danube valley and Central Europe, this unique itinerary provides a fresh perspective on a region of wonderful cultural riches and diversity. Your experience will be enhanced by a comprehensive schedule of exclusive guided excursions, a special lecture on the Habsburg Empire, a private organ concert in Melk and a memorable private music performance in Vienna. Judson, your faculty travel leader, centers his research on the Austro-Hungarian Empire, Germany, and Eastern Europe in the period 1848–1948, and he is the author of four books on the history of East-Central Europe. 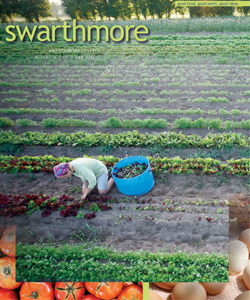 Contact Swarthmore Alumni College Abroad at (800) 789-9738 or via email at alumni_travel@swarthmore.edu for more information or to register for this wonderful opportunity. Note: Be on the lookout for information about the upcoming African safari in October 2012. The itinerary should be available early next year.